If your vehicle needs maintenance or repair service, at Boulevard Dodge Chrysler Jeep, you can rest assured that your vehicle will be perfectly repaired the first time. The expertise and qualifications of our trained and certified technicians and the ongoing training they follow ensure you get rapid work and competitive pricing at all times. We feature 16 service bays equipped with high-tech equipment to help you get back on the road quickly, and we make all repairs using original parts that come with a 1 year, unlimited mileage warranty. What's more, we take care of the environment by recycling oils, tires, batteries and anti-freeze. If your vehicle needs emergency repairs, take advantage of our no-appointment service and 24-hour towing service. Your vehicle can also be cleaned inside and out after repairs at our workshop. Schedule your service appointment directly on our site, ou contact us at 1 866 669-1943. Beneath all that gleaming paint and shimmering chrome is a hard-working, high-tech piece of automotive engineering that requires proper regular maintenance to maintain optimum performance. Some things you can likely take care of yourself - like washing and vacuuming. 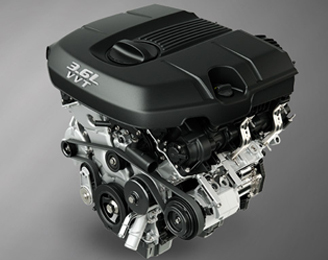 Others are best left to the trained experts at Boulevard Dodge Chrysler Jeep Service. The menu below provides some helpful information and tips to help take the mystery out of vehicle maintenance. No matter which model you drive, just remember this: Take care of your vehicle and it will take care of you. Oil Changes: How Often is Often Enough? The charge indicator on the top of your maintenance-free battery shows yellow or black. During winter, the number of battery failures increases four-fold, so if your battery is more than two years old, ask your Boulevard Dodge Chrysler Jeep Service specialist to test your battery and charging system. Depending on the results, you may choose to replace your battery before it fails.